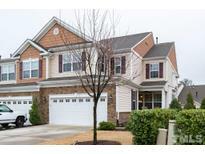 Below you can view all the homes for sale in the Weldon Ridge subdivision located in Cary North Carolina. 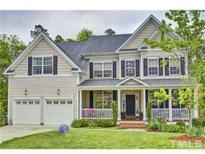 Listings in Weldon Ridge are updated daily from data we receive from the Raleigh multiple listing service. To learn more about any of these homes or to receive custom notifications when a new property is listed for sale in Weldon Ridge, give us a call at 919-634-6501. 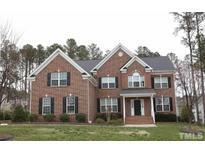 Large secondary bed rooms.Great Schools Close to RTP and all major highways !! A MUST SEE! ! MLS#2248096. 1641. Easy access to RTP & RDU via 540 or internal roads. MLS#2246930. 1685. 2nd floor has jack n jill suite, big laundry w/sink, master suite with big shower and tub, huge media room,third floor bedroom with 4th full bath. community has pool,playground,clubhouse MLS#2244900. 4241. Home is immaculately maintained & freshly painted! Must see! ! MLS#2243977. 683. Easy commute to RTP, RDU, 55 & 540 Shop & Dine!. Community has Pool & Volleyball Ct. MLS#2243480. 2664. Large Laundry Room with cabinets for storage & utility sink. Welcome Home! MLS#2240214. 4542. Inside you'll find Hardwoods ** Freshly Painted (2019) ** Family & Living Rooms ** Large Kitchen w/ Granite Counters, Island and Double Oven ** Dining Room w/ Trey Ceiling and Separate Breakfast Room ** Walk-in Pantry ** Gas Fireplace ** 1st Floor Bed & Full Bath ** Spacious Master w/ Sitting Room ** Bonus ** Walk-up Attic Floor & Plumb ** Community Pool & Volleyball Ct ** Close to 55, 540, Parks, Shop & Dine! MLS#2239394. 2766. Exterior features include screened porch & patio area. This home is a must-see! MLS#2239465. 1320.